(Lk. 12:49) What powerful words! Our God, Who is a ‘consuming fire’ (Heb. 12:29), wants to communicate Himself to us, along with the delights of His Divinity, in which we are made partakers by sanctifying grace; He wants to consume us, to immolate us in the Fire of His Divine Charity, so that, like so many lambs, we might offer ourselves as living hosts to be consumed by and for God alone. That is sanctity. ‘He must increase, but I must decrease’ (Jn. 3:30). The world desperately needs such souls. Remember: suffering lasts but a short moment; but the glory given to God lasts for eternity. Everything we do for love – or, rather, everything we let Love do in us – will be as a beautiful melody resounding throughout the courts of Heaven for all eternity. “My Benigna, in what consists the martyrdom of love? It consists in surrendering oneself to love as wood to the fire, or gold in the crucible; fire consumes the wood and reduces it to ashes; fire purifies the gold and makes it resplendent. “… My Benigna, I will tell thee yet more of the martyrdom of Love. The soul must let itself be consumed by Love Love is ingenious enough to know how to take everything away from the soul, without appearing to take away anything. Unfortunately, many priests neither know nor love the Church; it seems that many priests have been mortally wounded by sin, and are in desperate need of help. Even in St. Bridget of Sweden’s time, Our Lord often spoke to her about the wickedness of priests. Nowadays, it is all too common to hear of some scandal or another. Alas, many priests do not know how sublime their vocation is, nor do they appreciate the fact that they have been ordained for God’s glory, for the salvation of immortal souls! What can we do about this sad state of affairs? Should we wallow in sadness and despair? Should we complain about priests and the obvious crisis in the Church? No! What can we do, then? 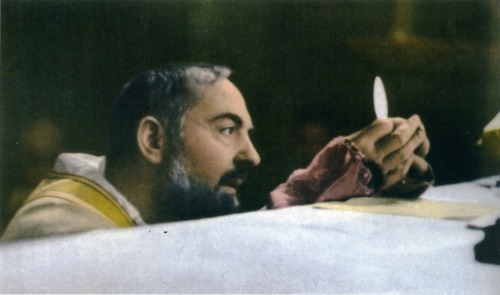 We can be Eucharistic souls! 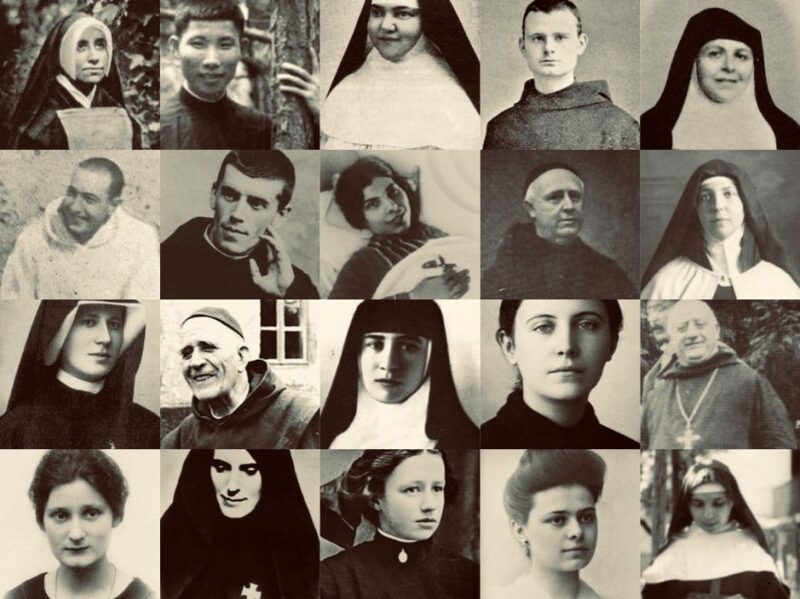 Like St. Therese, we can offer ourselves to God to be victims of His Love and Mercy! How? In these troubled times, God is particularly calling souls to offer themselves for the sanctification of priests; He wishes to raise up more generous souls, like Sr. Gertrude Mary, Ven. Louise Margaret, and Mother Marie Dominica Clara Moes, who will spend themselves in the service of priests. A life spent in the service of priests is a life well spent! St. Mechtilde is one of my favourite Saints. What I admire most about her, apart from her great charity, is her bold confidence in Almighty God. She expected everything from Him. He was ever in her heart, and she was ever in His. Earlier today, the thought came to me to read some of the beautiful revelations that were given to St. Mechtilde. How consoled I was. Later, it came to my attention that today is the Feast Day of St. Mechtilde! It is in gratitude to St. Mechtilde, therefore, that I dedicate this post. St. Mechtilde, pray for us! This scripture verse is profoundly beautiful. Books could be written on this brief passage. But we will only focus (briefly) on 9 truths that relate to this passage. 9. Even if we have been the worst sinner in the world, God will pardon us if we return to Him. In Heaven there are many who have been terrible sinners; but they all share this in common: they humbled themselves. Those who are proud will never be happy. Pride is to union with God what oil is to water. If we desire true peace, we must seek God with a pure heart. He has loved us first; let us love Him in return. If we simply do our duties for the love of God, seeking always to purify our intentions, then we will surely taste the sweetness of Our Lord’s yoke. He is the Way: let us follow Him; He is the Truth: let us trust Him; He is the Life: let us unite ourselves to Him, Who will lead us safely to Paradise. The more sinful we have been in the past, the greater right we have to trust in His infinite love, which is the source of all our good desires. If we desire Him, He desires us still more (as He revealed to St. Margaret of Cortona).